Join our mailing list to get all the best tiny house news & updates. Thank you for subscribing! You'll recieve a confirmation email shortly. Make sure to confirm to recieve awesome news and updates. We don't share your information with anyone & we'll never send you spam! With a house that only measures a few hundred square feet, some may be wondering how to truly make your house a home. The tiny house ideas in this article highlight how versatile and unique these living options can be! Tiny houses come in many different forms. These ideas for small homes will get your imagination going! Everyone loves vacations because they get to see new places. What if you could do that without leaving your home behind? Tiny houses on wheels are the perfect way to see the country without leaving the comfort of home. Build a tiny house with retractable sides so you have more space. Or build a small porch to have outdoor options. There are all kinds of storage and living possibilities with tiny house designs. What is a cob house? It's a tiny home built of clay and straw, and they don't use wooden frames like most houses. These houses are durable, and they are compatible with most living conditions. That means, it can keep you warm in the winter, and cool in summer. These unique living spaces look like their straight out of a fairy tale. They're also highly sustainable. That's right, people are turning old buses into tiny homes! These types of living spaces need planning, but it's not impossible. The biggest obstacle is figuring out the layout. The good thing is, it's a lot like creating a layout for an RV. Everything has to flow so it's not cramped. Houseboats make wonderful tiny homes. You'll always have a view of the waterfront, and you can travel as well. As with tiny house communities, there are even houseboat communities. Houseboats all in a row, like a neighborhood, form a unique lifestyle. While living on the water may not be mainstream, it's worth it for those who like to live small and love the water. Why design and build a whole new tiny house when you could make one out of existing materials? Shipping container houses are a thing, and they have endless possibilities. Why not furnish and design the insides of two? Create an outdoor space between them and double the tiny living experience! Make one that caters to sleeping, and the other to living. There's no end to the design plans these types of tiny homes can have. There's no limit to the creative possibilities of small living. If you've run out of tiny house ideas, don't worry. 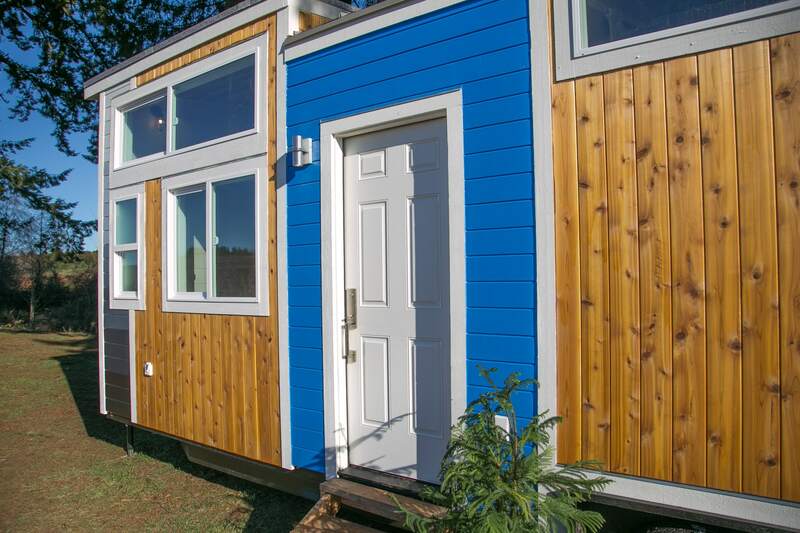 We have all kinds of experience in building a wide variety of tiny houses. Take a look at our homes, or design your own!